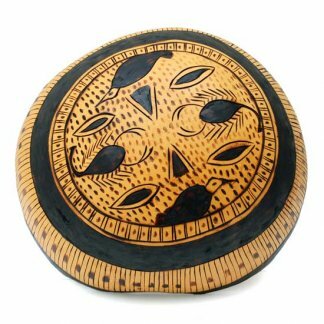 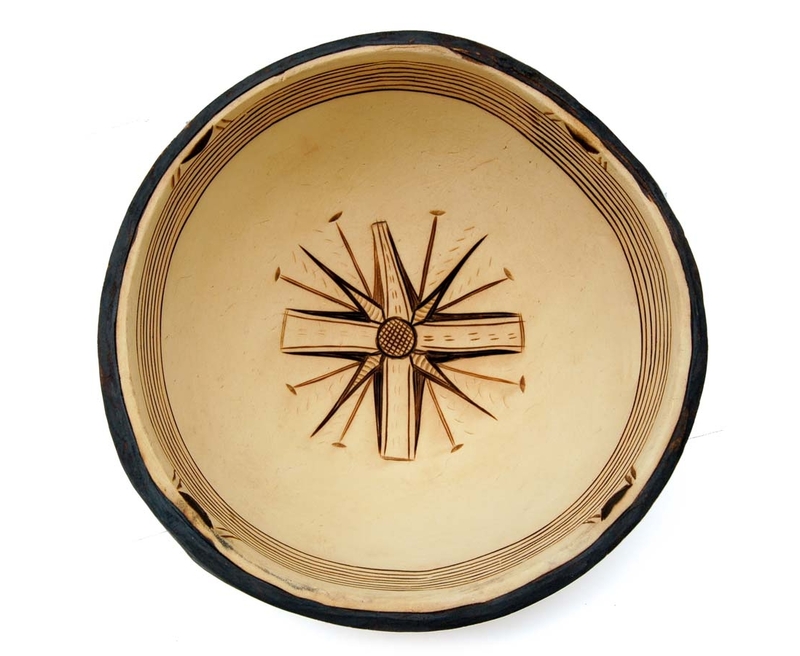 Traditional, pyro-etched African gourd (calabash) art. 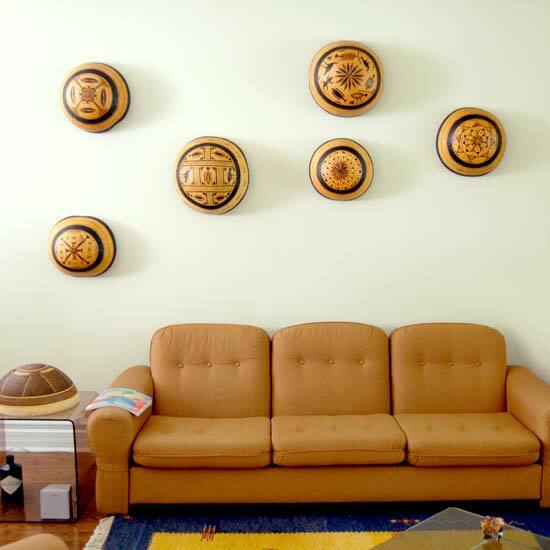 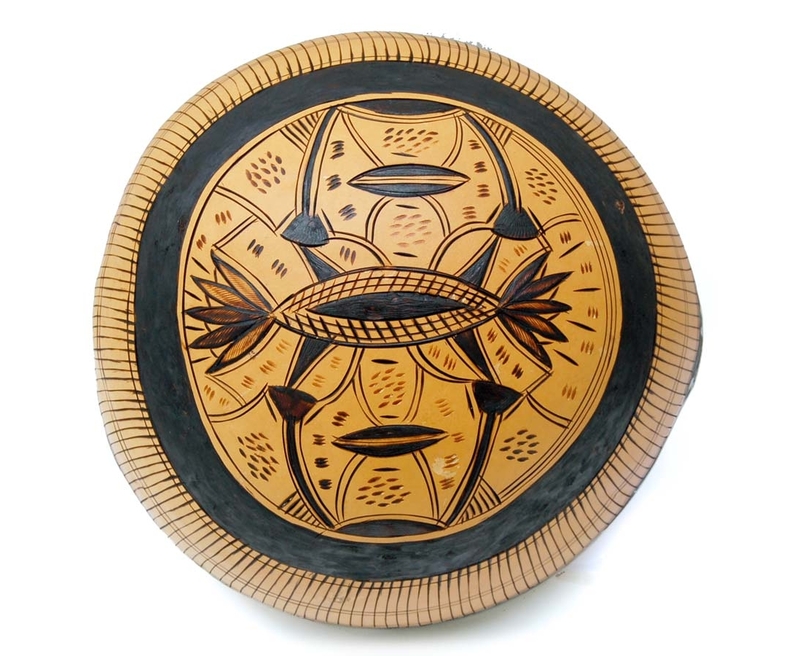 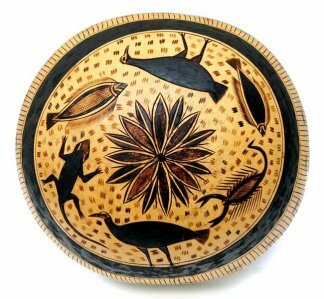 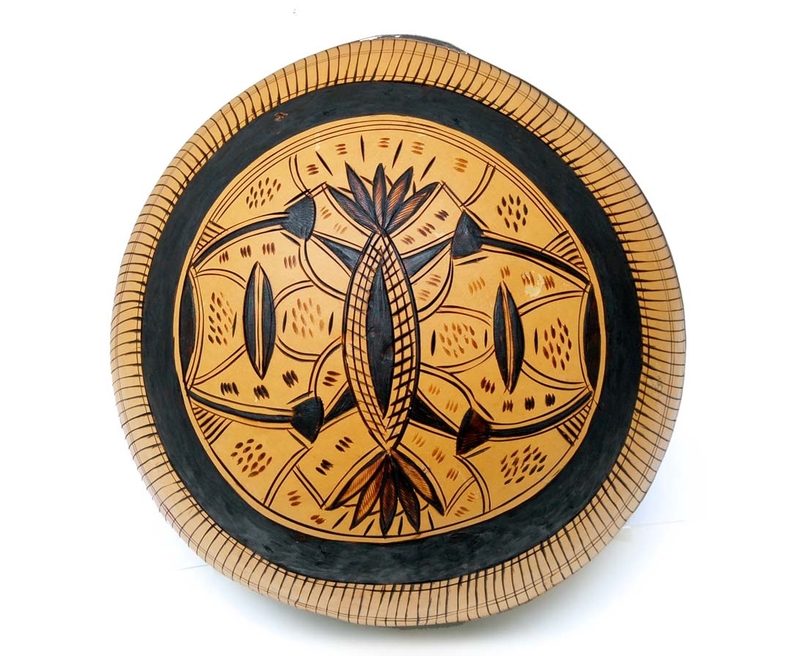 These are prime examples of traditional gourd art on purely utility items. 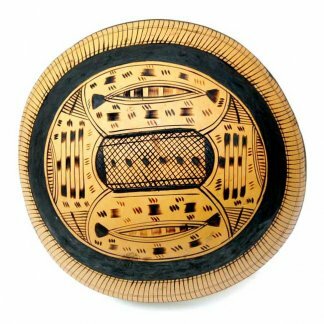 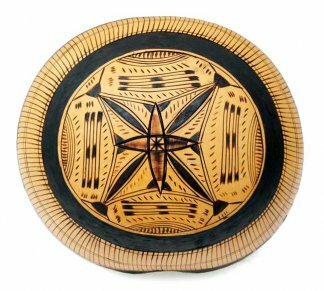 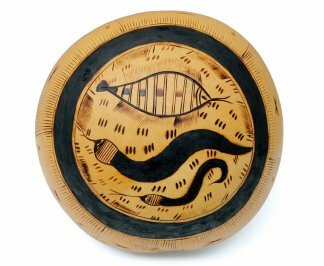 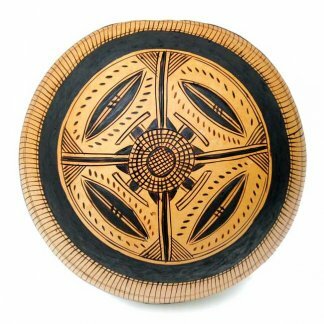 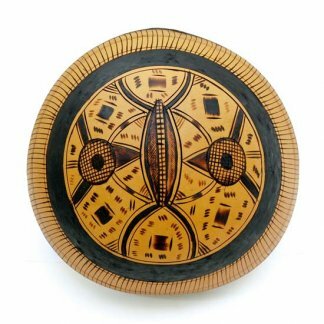 These craft-makers adopt pyro-etching methods to create traditional abstract imagery on the outside and inside of gourds (calabash). 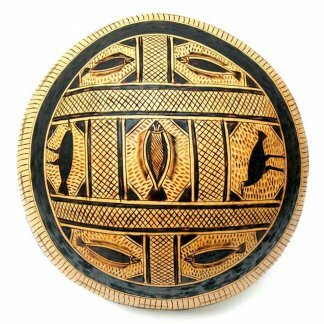 Produced by local artisans in N. Nigeria.